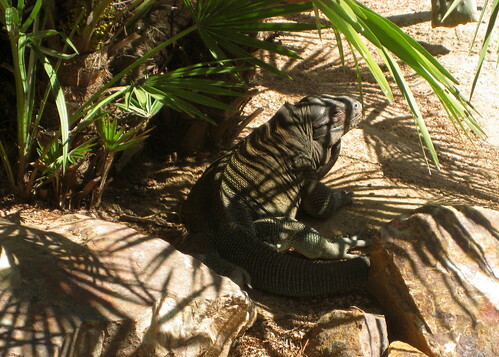 Can you confirm these amateur observations of Cyclura pinguis? Type locality: Anegada Island, British Virgin Islands. Comment For illustrations see Grant, 1937; Carey, 1975 a; Philibosian and Yntema, 1977; Schwartz and Carey, 1977; MacLean, 1982; Schwartz and Henderson, 1985. 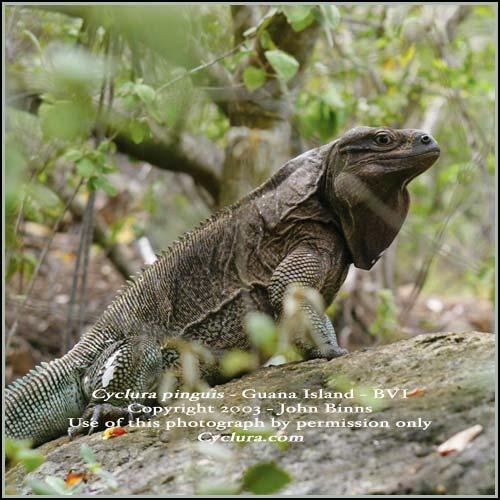 Synonymy: Cyclura portoricensis BARBOUR 1919, known only from bones, may be a synonym of C. pinguis, fide Schwartz & Thomas 1975: 113. Carey, W.M. 1972. The Herpetology of Anegada, British Virgin Islands. Carib. J. Sci. 12(1/2): 79-89. Carey, W.M. 1975. 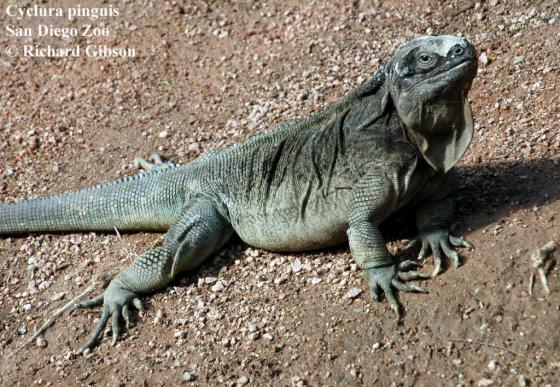 The rock iguana, Cyclura pinguis, on Anegada, British Virgin Islands, with notes on Cyclura ricordi and Cyclura cornuta of Hispaniola. Bull. Fonda State Mus. Biol. Sci. 19(4):189-233. Grant, C. 1937. Herpetological notes with new species from the American and British Virgin Islands, 1936. J. Dept. Agric. Puerto Rico 21: 503-522. Lemm, J.M. & Alberts, A.C. 2012. 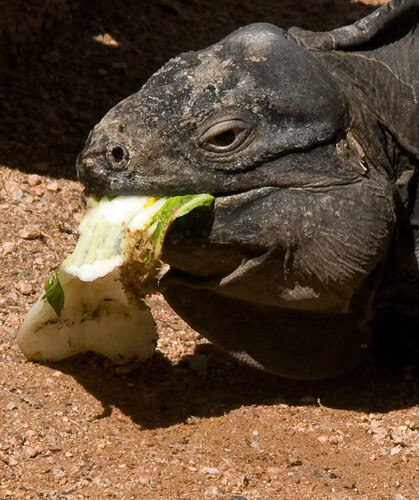 Cyclura. Elsevier / Academic Press, 221 pp. Philibosian, R. and Yntema, J.A. 1977. 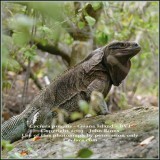 Annotated checklist of the birds, mammals, reptiles, and amphibians of the Virgin Islands & Puerto Rico. Information Services, Frederiksted, St. Croix, 48 pp. Schwartz, A. and R. Thomas. 1975. 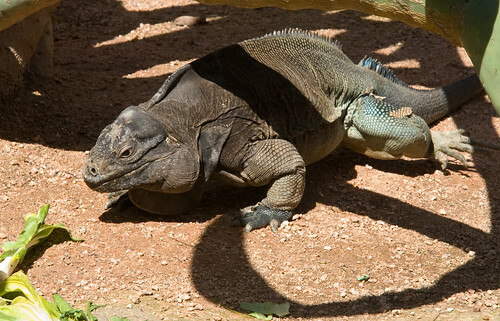 A checklist of West Indian amphibians and reptiles. Carnegie Mus. Nat. Hist. Spec. Publ. 1:1-216.